Shazam! is exactly the type of film that DC should be making; fun, throwaway, self-referential, but very much standalone. There’s nods to the wider DC world, but Shazam! very much feels like it’s own thing, and for the most part, this totally works. 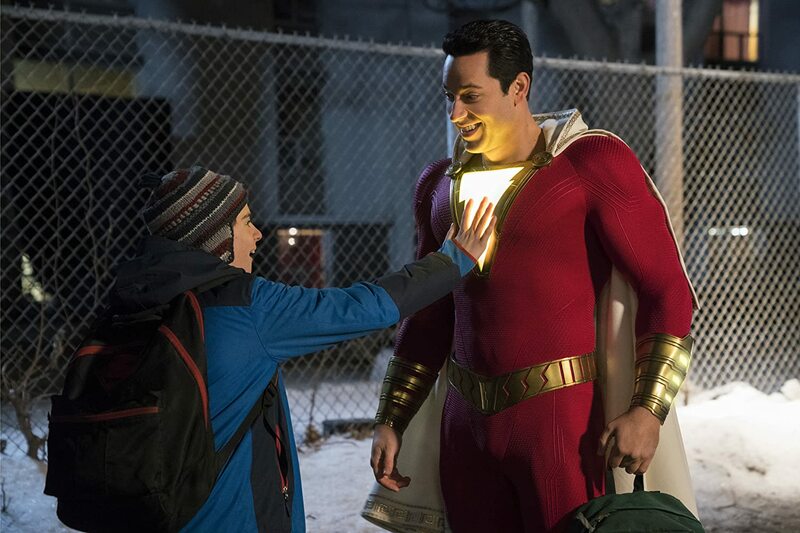 Zachary Levi is wonderfully endearing as the kid who becomes the hero, and the child actors, particularly Jack Dylan Grazer and Faithe Herman are fantastic. It gets a little bit flabby towards the end, and could definitely do with about 15 minutes coming off the run-time but on the whole, Shazam! is a good bit of fun with plenty of laughs and a good heart. Just to finish on a slightly controversial opinion, Shazam! is the sort of film that proves DC should just make singular entities, and leave the shared universe stuff to Marvel, and with the future of the DCEU looking somewhat uncertain, this could absolutely be the right move to get things back on track. Back in the late 90s and early noughties, Saturday morning’s were always spent watching Wrestling with my brother. Our favourites were of course legends such as The Rock, Stone Cold, Triple H and The Undertaker. Even though I have not kept in touch with the world of Wrestling (save for my love of Dwayne ‘The Rock’ Johnson), Fighting With My Family felt wonderfully nostalgic, bringing back those happy memories of wondering what The Rock was cooking. The film easily stands on its own merit however, and even those completely new to the world of wrestling will find something to appreciate in this charming underdog story. Whilst Dwayne Johnson (playing himself of course!) might be the big name draw that gets bums on seats, Florence Pugh is the star of this show and she truly shines as real-life WWE wrestler, Paige. Jack Lowden as Paige’s brother is also fantastic, and their relationship is at the heart of this film. Stephen Merchant’s script is packed with wit and the supporting turns from Lena Headey and Nick Frost as Paige’s parents, round things off nicely. I loved this film – far more than I thought I might – and it just might be one of the best feel-good films of the year.